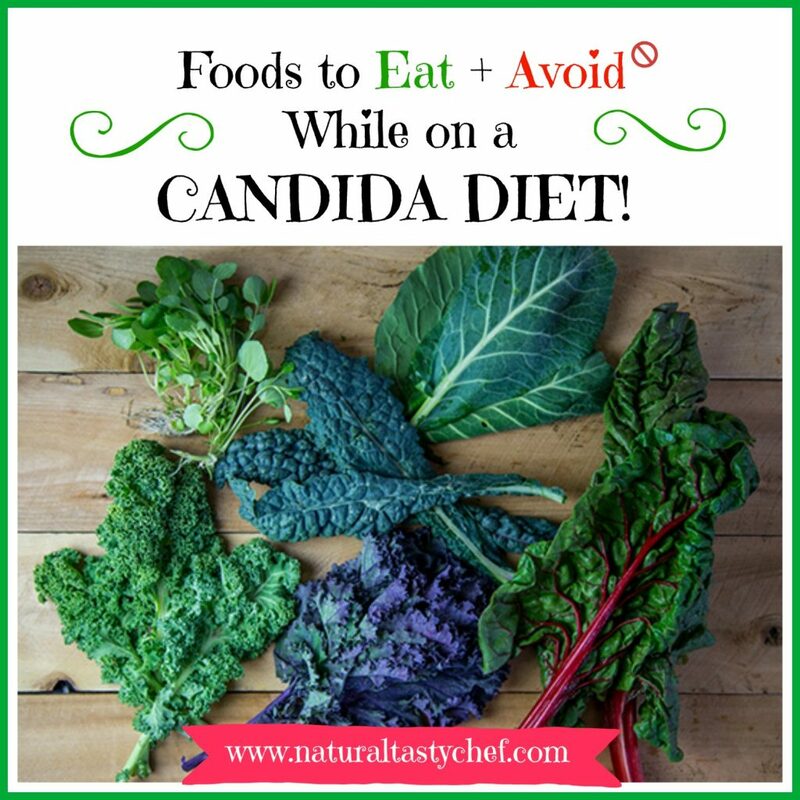 I know first hand that there’s a whole LOT of conflicting information out there about what foods to eat and avoid while on a Candida Diet. On top of already feeling crappy and overwhelmed, it can be very confusing and frustrating. I was there too! I tried everything out there when I first suspected I had candida. Oregano Oil, Bentonite Clay, Juice Cleanses, Papaya Seed Smoothies, Coffee Enimas…the list goes on and on. It wasn’t until I met Naturopath Ann Boroch, that things started to shift. Ann Boroch was a naturopath who healed herself of Multiple Sclerosis (M.S.) with a candida diet. After that she dedicated her life and career to helping those with Candida overgrowth and auto immune diseases such as M.S., Lupus, and Crohn’s do the same for almost 20 years! I was lucky enough to start cooking for Ann in my personal chef business and we ultimately became close friends. 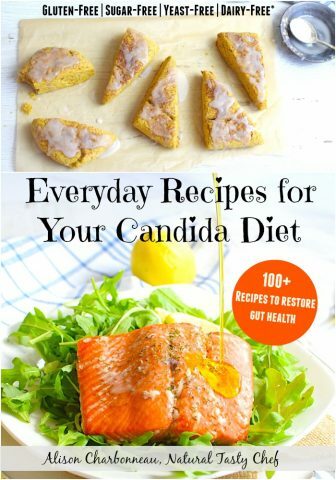 I studied her dietary program inside and out and ultimately wrote all the recipes for her book The Candida Cure Cookbook. I have used these principals to help my personal chef and coaching clients over the past 4 years. Ultimately, I created my own Digital Cookbook with over 100 easy and delicious recipes for you to enjoy while on you Candida journey. 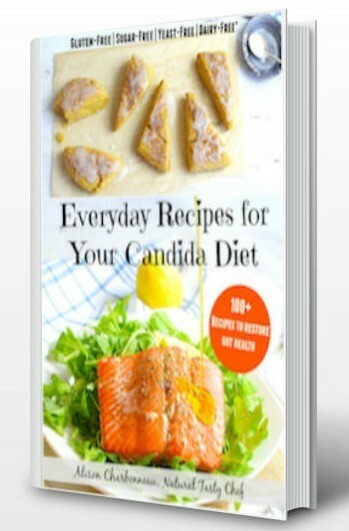 I truly hope this book acts a guide to you and helps make your candida cleanse as easy and delicious and possible! *Eat in moderation or avoid completely if you have arthritis or experience achy joints.